Amanda Cooper, LCSW is also a Clinical Supervisor with the School Based Behavioral Health Program at Wesley Spectrum Services. Her role includes providing supervision, consultation, in-service trainings to therapists and school staff within multiple school districts in the Pittsburgh Area.. Her previous roles also included Clinical Supervisor for the partial hospital and approved private school at Wesley Spectrum and Director of Clinical Services for The Bradley Center for five years. She began her career with Western Psychiatric Institute and Clinic with multiple roles as a clinical social worker in inpatient, residential and family based treatment. She was on staff as a trainer for the Family Based Training Program and provided training and consultation in structural family therapy. Ms. Cooper has also presented at PCPA, CASSP and CMHS National School Based conferences. 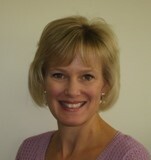 Her areas of expertise include: trauma, family therapy and school based mental health. Ms. Cooper received her Bachelor’s of Science in Psychology from Bethany College and her Master’s degree in Social Work from the University of Pittsburgh. She also holds a Post-Master’s certificate in Marital and Family Therapy from the University of Pittsburgh and was previously certified TCI: Therapeutic Crisis Intervention Trainer from Cornell University. She is a Licensed Clinical Social Worker (LCSW) and received certification as a Board Certified Diplomat (BCD) from the American Board of Social Work Examiners.